ANYONE HAVING INFORMATION SHOULD CONTACT: Portsmouth Police Department at 1-757-393-5300 or Virginia State Police at 1-800-822-4453. 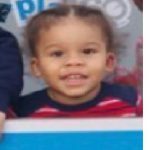 Circumstances: Child was last seen at 1100 Carrington Crescent, Portsmouth, Virginia. Child was last seen wearing a blue/red shirt. 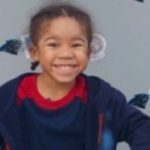 Child was last seen at 1100 Carrington Crescent, Portsmouth, Virginia. Black female, 5 feet 08 inches, 215 Lbs, bro hair, bro eyes. Abductor claimed to shoot the children if the father did not provide her with money. Unknown on weapon type. May be traveling in possibly a patriot Jeep , Black , Unknown tag. P.S. 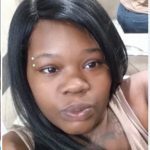 Asia D. Jarvis has made threats to kill both children.